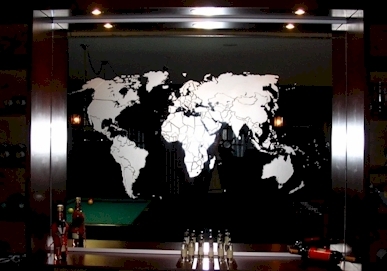 With mirrors we can do wonderful things, on this page we proudly present a few examples of etched / sandblasted mirrors. We can design such a special mirror for you or make one by your design! Ever thought of giving a mirror with your company logo? An original gift that will be appreciated!